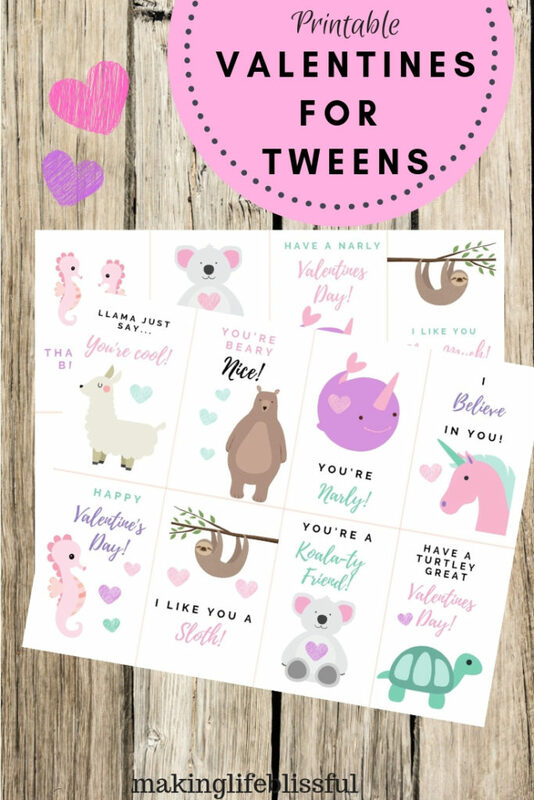 To help kick off your Valentines Day, I have some cute as can be printable Valentines that I have created. 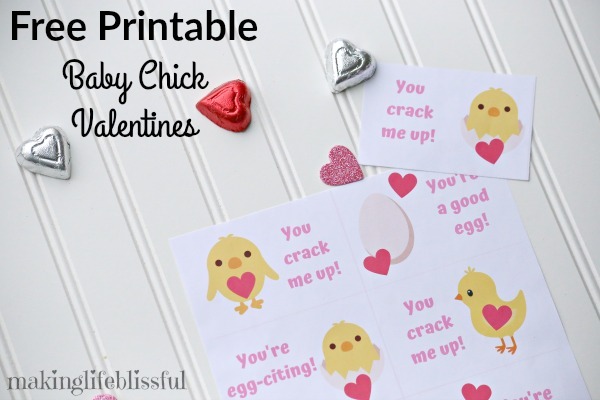 And it includes Free Printable Baby Chick Valentines for you! They are bright and colorful with cute phrases like “You crack me up” and “You’re egg-citing”. 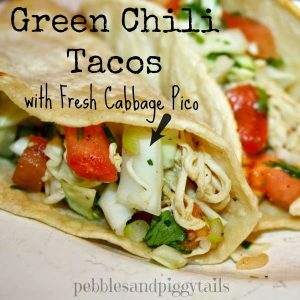 They would be perfect for pre-school or elementary school kids. 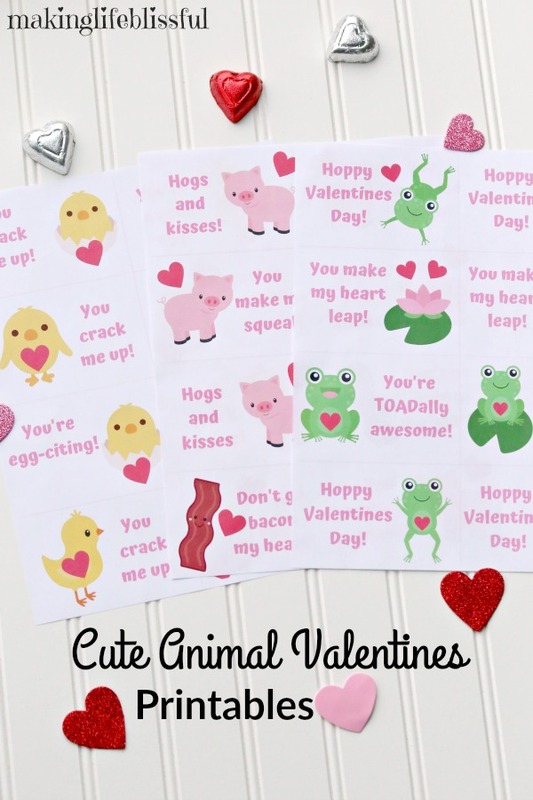 Along with the free Baby Chick Valentines, I’m sharing our new printable Pig Valentines and our Frog Valentines that are in my Etsy shop right now! 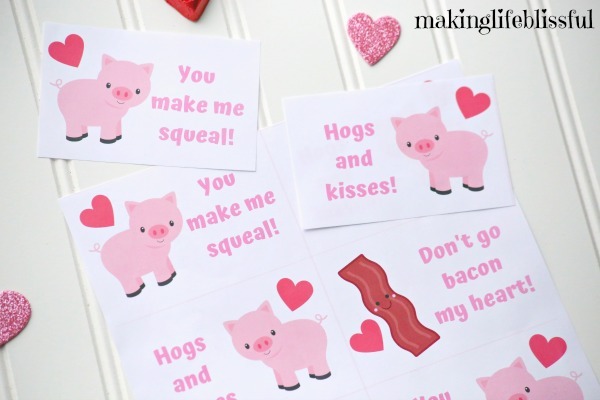 My daughter’s cute friend loves pigs, so we were inspired to make these adorable Pig Valentines because of her. 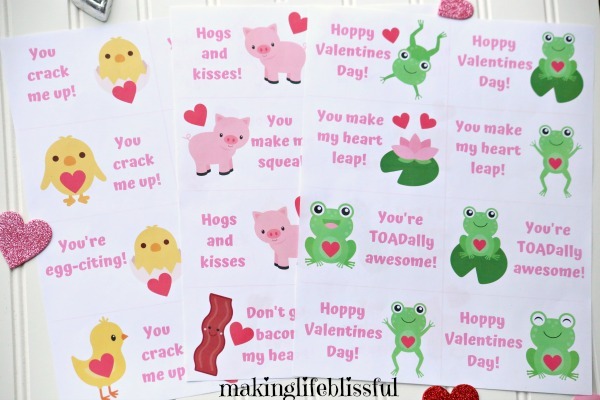 The printable Baby Chick Valentines would go so well with the Frog Valentines and the Pig Valentines for any Valentine’s Day gift you’re giving! 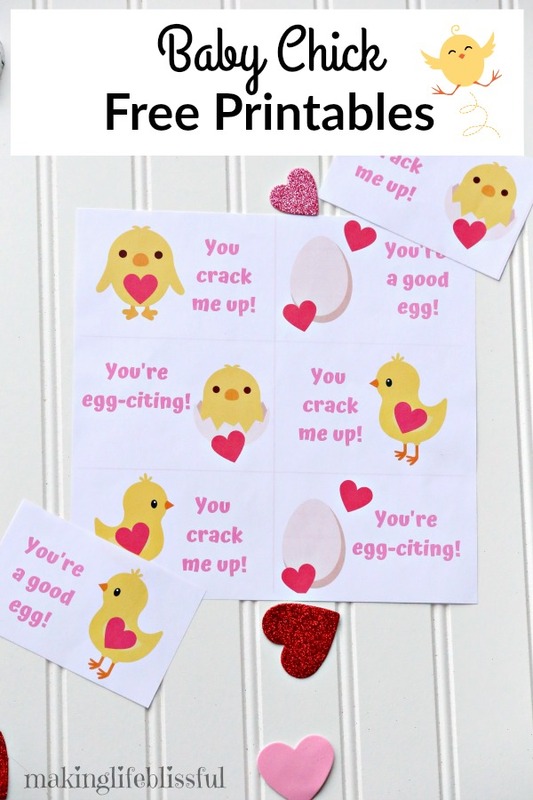 The Baby Chick Printables are completely FREE! 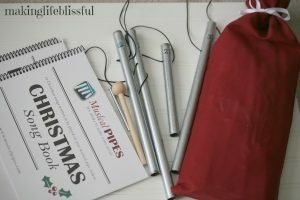 You’ll find the link to the printable at the bottom of this post. 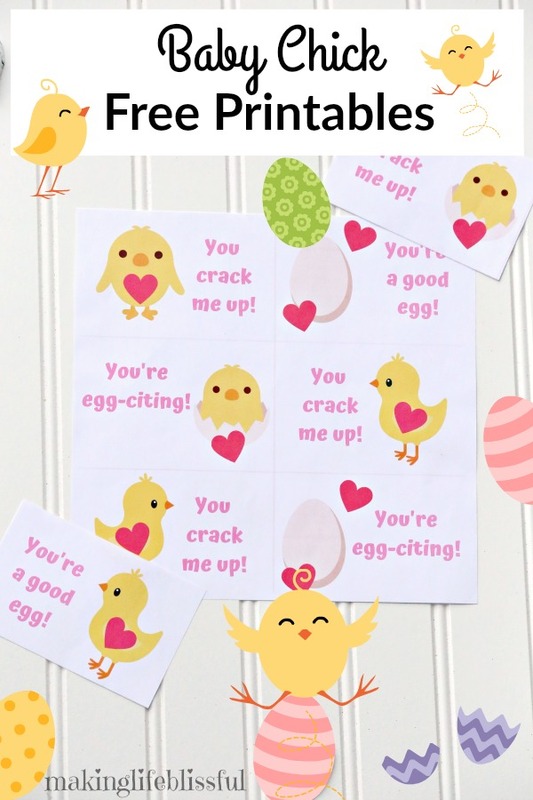 And honestly, these baby chick printables would work for Easter too. 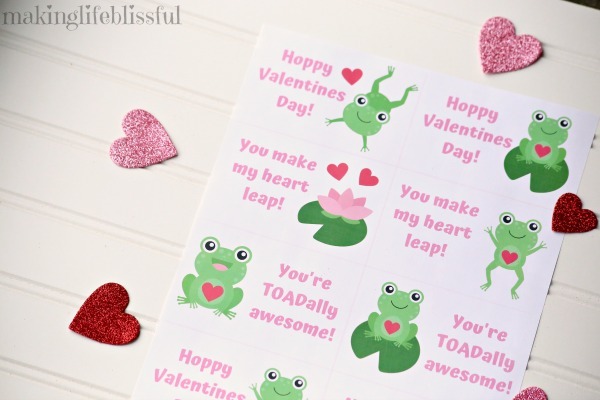 The Printable Frog Valentines are adorable!!! 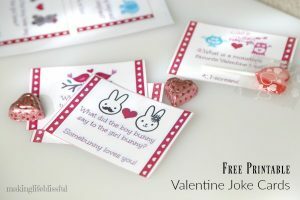 They have cute little sayings on them like “Hoppy Valentines Day” and “You’re TOADally awesome.” You can find them HERE. 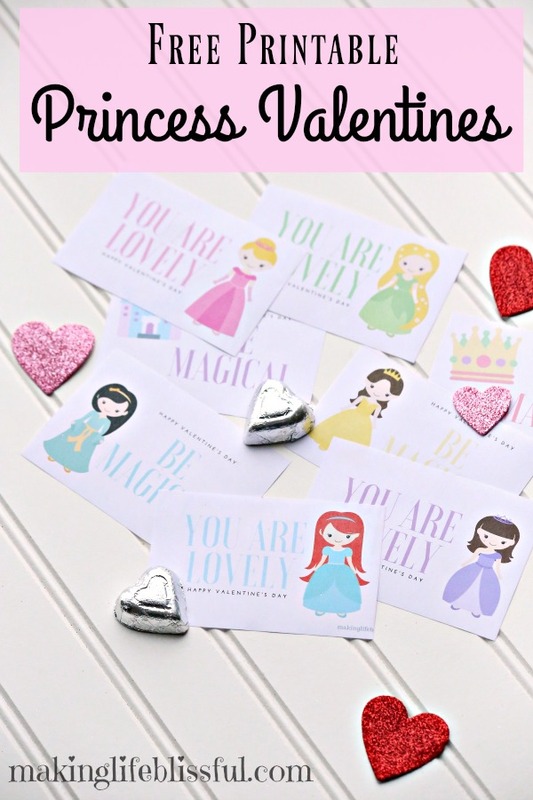 Remember these printables will work for Easter too, so here’s pin to help you remember that!